Containers are relevant to the entire stack, and there are many companies, products, services, and open source projects that overlap in what they look to address — and while various foundations are looking to create consensus on some of these technologies, so far the ecosystem is only getting bigger. The container ecosystem has proven to be an extremely difficult to encapsulate due to the sheer number of projects, tools, and services and the sheer speed at which the container technology is evolving. At The New Stack, we have created three different ecosystem directories for our Docker and container ecosystem ebook series, and we’re intimately familiar with the scope of such projects. Last year, Codenvy consulted with us on the creation of an illustrated market map for containers. This market map proved to be a great tool for looking at the ecosystem, especially through the lens of how continuous delivery works. 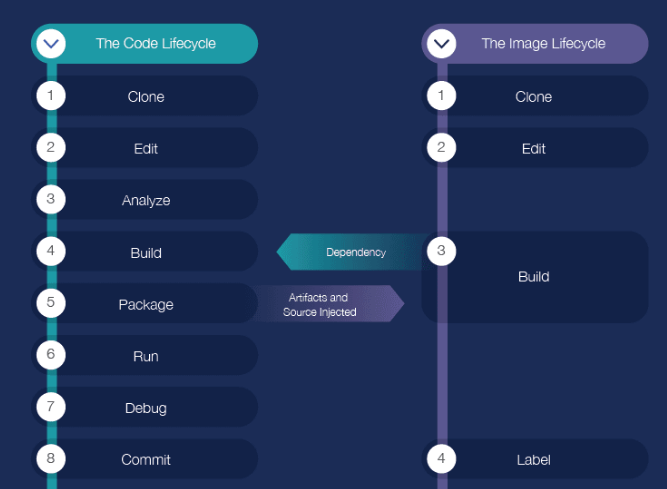 It covered the pipeline from code development through deployment, showing how each vendor and tool fits into a breakdown of categories. The map helps to connect these tools, products, and companies visually to the areas they’re meant to address. And now there is a new version, embedded below. This latest version of the market map reflects the ecosystem through Spring 2016 and includes some improvements to their first version. Besides change-ups to categories where products were phased out or acquired (such as HPE’s acquisition of ActiveState Stackato), there are many options appearing for the first time, as well as a further refining of the categories covered. The source code management category has its first products in Bitbucket Server and GitLab. Twistlock Trust and Flawcheck were added to the artifact and image registry section. This space is still going to be producing many new registry products. The container infrastructure category has been refined into several subcategories including platforms, runtimes, security, storage, service discovery, cluster management, and more. The developer workspace category also saw growth with the addition of SAP Web IDE for SAP HANA and Samsung ARTIK IDE, which are both built on Eclipse Che. We’re glad to have served as a research partner on the map, helping further define this work in progress. Codenvy manages this project on GitHub and will continue to update it as the market evolves.